Shifting to an electronic procurement system could yield big efficiency gains for both the government and private sectors in Sri Lanka, cutting costs, improving transparency and fairness in tenders, and reducing corruption, according to Verité Research. The Sri Lankan government spent about Rs597 billion through public procurement in 2015, or about 5.3 percent of GDP, and 26 percent of total government expenditure, according to the private think tank’s research. “We are not talking about a trifling sum of money – we can change spending on welfare, education. This can be transformative in what the government can deliver. What we don’t count is how inefficient our use of the money in the budget is,” de Mel told a forum held by Verité Research, together with the Import Section of the Ceylon Chamber of Commerce to present its findings. Sabrina Esufally, Head of Legal Research of Verité Research, said e-procurement has become widespread in recent years with many governments, including Nepal, Bangladesh and India in South Asia, adopting the system to do a range of functions, from the publication of tender notices to evaluation of bids. 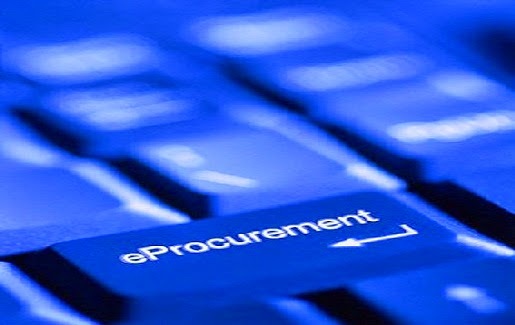 Bangladesh has an ‘end-to-end e-procurement system where it publishes all tender notices from procuring entities, procurement guidelines and successful bids, evaluates bids, has a helpline, and also an online opening up of bids that eliminates the need to physically go to the procurement entity. E-procurement reduces the tender time cycle drastically. In India, e-procurement helped reduce the tender time cycle to 35 days from 90-135 days. “If we adopt e-government procurement in Sri Lanka, it would mean more roads being contracted in a shorter period of time, more efficient services and reduced costs to both the private sector and the government,” Esufally said. South Korea managed to reduce bid processing time to just two hours from 30 hours on average after the introduction of full e-procurement, with the platform also saving suppliers $6.6 billion due to reduced labour and travel costs. “The second big thing e-procurement gives you is that it opens up the market place, making it more accessible, increasing the number of players, and creates more opportunities for SMEs (small and medium enterprises),” Esufally said. “In Bangladesh, the number of registered bidders increased by 3,500 percent, from 520 to 18,000 bidders, after the introduction of its e-procurement system. “For governments, it eans they can get better value for money, your contracts are as close to the market price as possible, and also means you have more choice,” she said. In Bangladesh, e-procurement resulted in the price-to-cost ratio of awarded contracts decreasing by 10-12 percent. Sri Lanka need not start off with an end-to-end e-procurement system, but could introduce easy-to-do elements immediately, like publishing tenders online, Esufally said. Later, electronic submitting of bids can be done, with changes to existing laws, which prohibit electronic bidding. Ultimately, Sri Lanka should adopt a system where all bid evaluations are done online. “We’re talking of easy to do, staggered processes,” Esufally said. E-procurement will also reduce the loss of public money from badly managed procurement systems. “It’s also about creating procurement systems that enhance public accountability,” Esufally said. Verité Research said e-procurement will reduce opportunities and incentives for corruption in the bidding process, noting that in Mexico, the existence of an e-procurement platform enabled journalists to discover corruption in the office of the president.